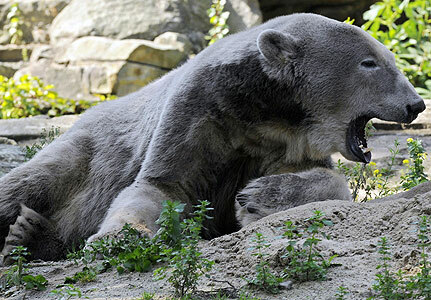 Polar and Grizzly bears would not normally share breeding habitats, but biologists from the American Museum of Natural History have recently reported Grizzlies moving into what was traditionally Polar bear territory, while an article in Nature has suggested that retracting Arctic sea ice may force Polar bears to migrate into Grizzly terrain., And that might mean more Pizzlies. Or (if you take a glass-half-empty kind of view) the added threat of hybridisation to the already endangered Polar bear. What is more, there is some historical precedent here: by DNA testing the remains of extinct Brown bears found in Ireland, palaeogeneticists have shown that modern Polar bears are in fact descended from Irish forebears. It is thought that the two species may have interbred at various points during the past 100,000 years as climate change affected the range of Polar bear habitats. An article published in the Proceedings of the National Academy of Sciences reports that a giant primitive virus (giant by virus standards, anyway) has been revived after being released from the Siberian permafrost. 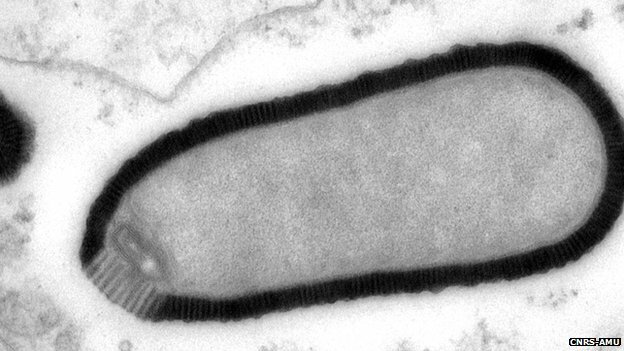 The pathogen Pithovirus sibericum is believed to have been dormant for 30,000 years, but after being retrieved from 30 metres deep in the permafrost it has been revived in laboratory conditions. Although this virus is not itself harmful to humans, the research suggests that as global warming continues to thaw the permafrost other unknown primitive diseases, or those thought to have been eradicated, may re-emerge to pose a threat to human and animal populations. It may sound like the start of a sci-fi horror movie but some scientists have also expressed concerns about the public health risk of diseases such as smallpox resurfacing as bodies mummified in the permafrost start to defrost. As reported in Geophysical Research Letters, one effect of global warming is that mountains can get taller. The weight of ice held in glaciers can contribute to the depression of the earth’s crust into the viscous mantle; as the glaciers shrink the effect of that depression is reduced, and mountain ranges gradually uplift. 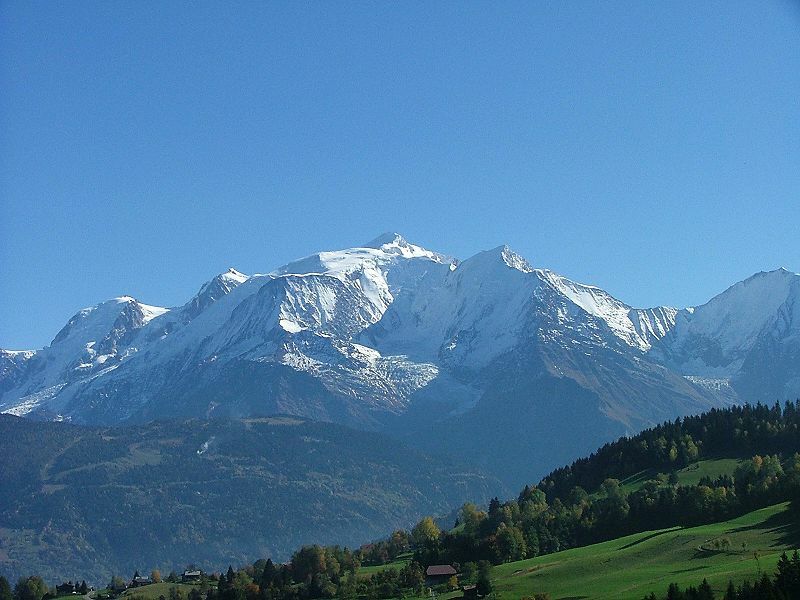 Glaciers in the Alps have been shrinking since the end of the last mini ice age, but evidence suggests the rate of shrinkage is increasing due to anthropogenic climate change, with knock on effects on the rate of mountain uplift. If there is one thing that might get the patriarchal power complex to take more action on global warming, it could be the thought of passing a kidney stone. 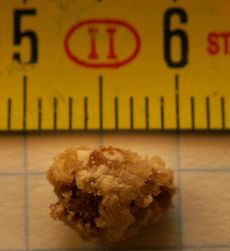 Kidney stones, or renal calculus, are concretions formed in the kidneys from minerals in the urine, and typically have to be passed from the body through the urine stream; 80% of those suffering from kidney stones are men; and the kidney stone in the picture is 8mm in diameter. Think about it. And it is official: global warming causes more kidney stones. Research presented to the American Urological Association has demonstrated that dehydration is a major factor in the development of kidney stones, particularly in warmer climates, and increasing global temperatures will exacerbate this effect. Between kidney stones, smallpox and the thought of being mauled by a half-Irish Pizzly bear on a slowly rising mountain top, Georeceptionist thinks it is time to turn down the heat. Brendan P. Kelly, Andrew Whitely & David Tallmon, ‘The Arctic melting pot’, Nature (2010). Matthieu Legendre & others, ‘Thirty-thousand-year-old distant relative of giant icosahedral DNA viruses with a pandoravirus morphology’, PNAS (2014). Richard Stone, ‘Is Live Smallpox Lurking in the Arctic?’, Science (2002). V. R. Barletta & others, ‘Glacier shrinkage and modeled uplift of the Alps’, Geophysical Research Letters (2006). Tags: climate change, climate week, environment, global warming, kidney stones, mountains, pizzly bears, sea level. Bookmark the permalink.